Meet Gemma. We’ll be following her journey through the Opens and towards THE Games! 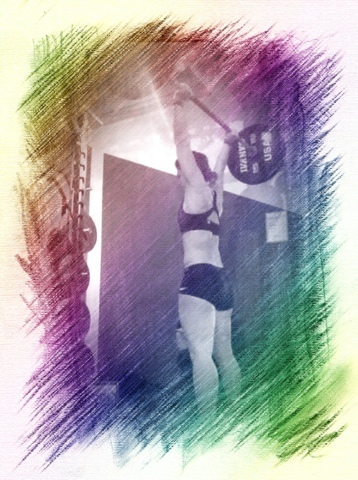 CrossFit is described as ‘constantly varied, high intensity, functional movement’. Workouts are typically 20 minutes or less and require intense, all-out physical exertion. CrossFit uses sprinting, rowing, skipping, rope climbing, weightlifting and body weight exercises. You complete a ‘Workout of the Day’ (WOD) and it is scored based on reps in a time allowance. A selection of CrossFit exercises, getting ready for Workout 13.2 which is released on Thursday 14th March.